We have been so thrilled with all the attention we are getting lately. Take a look at who's talking about House 8810! 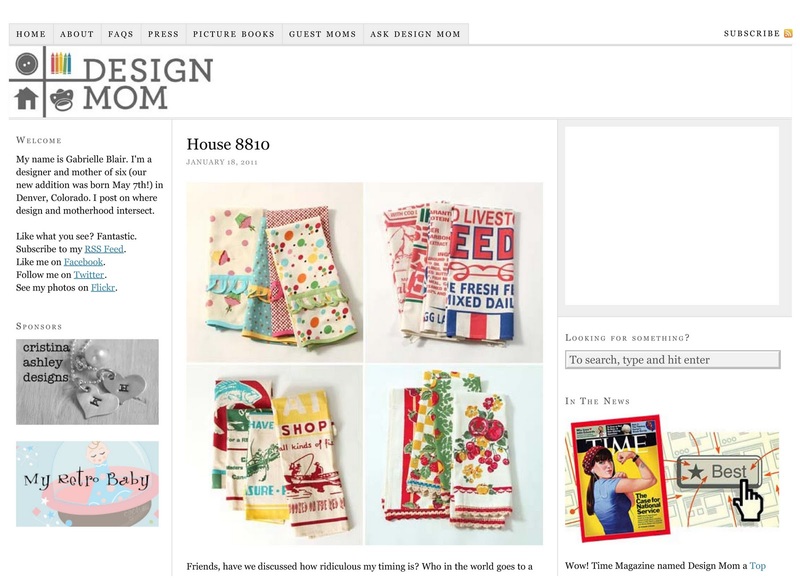 DesignSponge featured one of our tea towels...very appropriate as they are the cream in our coffee. 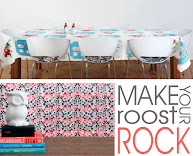 Check the post out here. The busiest Mom on the planet even took a little time to give us a shout-out...Holla! (Not Colla!...all you Tosh fans out there know what I'm talking about...) Check that post out here. 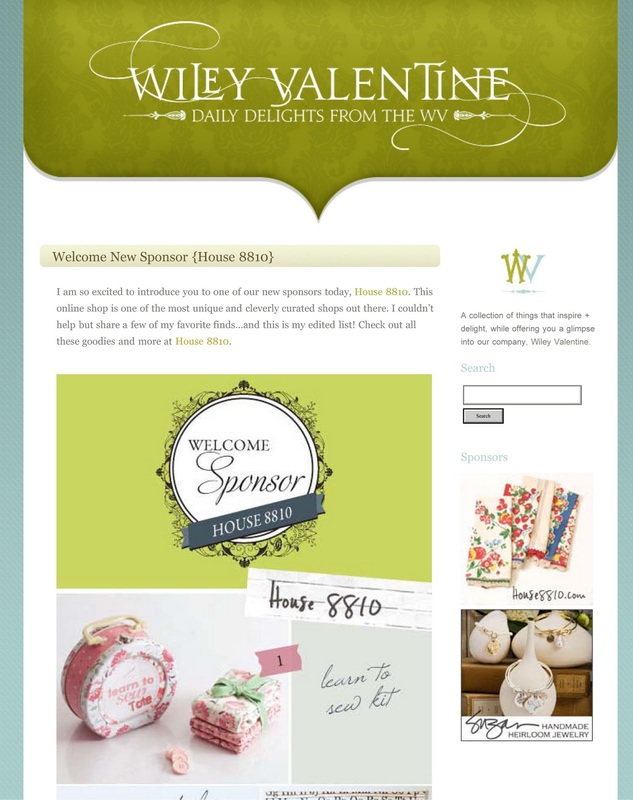 And we are now sponsors on the adorable Wiley Valentine blog. Read about us here and while you're there, check out the goods they have to offer. 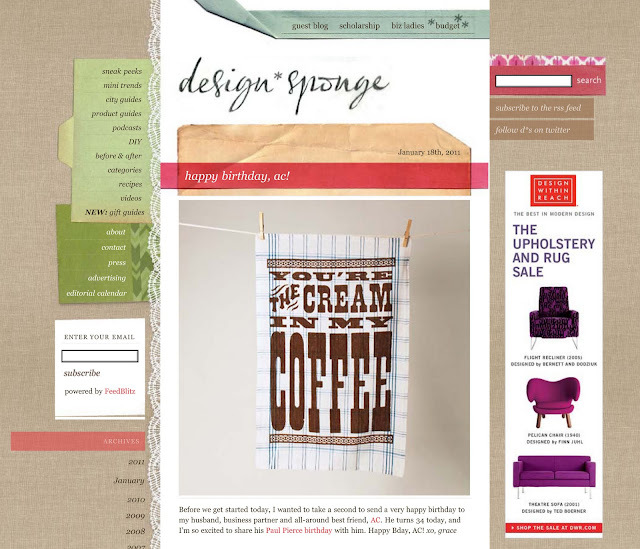 It's in the right sidebar. That's awesome of you! Thanks so much! We will post a link to your site under our press section! Thank you for lusting after us! Ha!